Public Defender Joel Feinman and community organizer Zaira Livier propose to put a ballot initiative before Tucson voters in November that will make Tucson a sanctuary city, like San Francisco, Chicago, and New York. 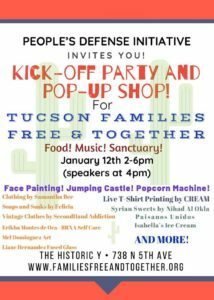 “We envision a Tucson that serves as a safe refuge for all people regardless of their immigration status, race, color, age, gender identity, ethnicity, ability to speak English, religion, sexual orientation, or economic status,” according to the People’s Defense Initiative, which Feinman and Livier co-founded last April. 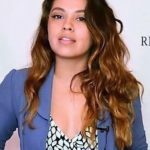 Titled the Tucson Families Free & Together initiative will prohibit city police officers from detaining people on the basis of immigration status, and from assisting in the enforcement of federal immigration laws, and minimize record-keeping of communications between Tucson and federal authorities. “ This is the flagship initiative of the People’s Defense Initiative, which Feinman and Livier co-founded last year. The group is holding a Kick-off Party & Pop Up Shop on Saturday from 2:00 – 6:00 pm at the Historic Y at 738 N. 5th Avenue. There will be music, food, and a pop-up shop of independent Tucson makers starting at with speakers and press conference. 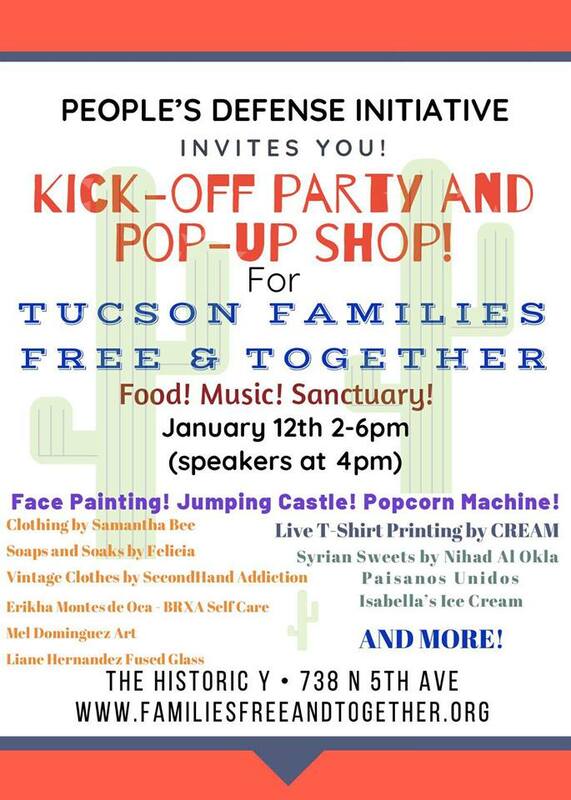 The speakers at 4:00 pm include South Tucson gallery owner Mel Dominguez, a Chicano artist, and Alejandra Pablos, a well-known immigration- and reproductive-rights activist who is fighting a deportation order. The event is free and fun. You can RSVP on Facebook. The measure is likely to attract complaints from anti-immigrant legislators and Attorney General Mark Brnovich, who killed Tucson’s weapon destruction program. Feinman said the initiative, was specifically written to stand up to a legal challenge. Click here for a copy. “We expect state response from the state. It is our duty and responsibility as democratic progressives to use citizens initiatives and the ballot box to do what state will not do. The Legislature does not represent the kind of Arizona we want to live in,” Feinman said. provide for minimum record keeping and protocols for certain communications between city employees and federal law enforcement agencies. Feinman will ask the Pima County Democratic Party for its endorsement at the next meeting on February 4. But first, the initiative needs 9,241 petition signatures by July 5 to get it on the Tucson ballot. The measure is already endorsed by the ACLU, the Justice Alliance, the YWCA, RepresentMe AZ, No Mas Muertes, and Progressive Democrats of Southern Arizona. “The sanctuary movement started in Tucson by local religious leaders in the 1970s and 80s in response to brutal civil wars in Central America. The offered their homes and churches as a refuge for people from those wars, fleeing oppression and murders. They gave them spiritual and physical sanctuary we’re continuing in the best of that tradition,” Feinman said.